When you eat, millions of tiny pumps in your stomach lining create acid to break down food. When your LES (lower esophageal sphincter) relaxes, excess acids can flow up, or reflux, into your esophagus. This can create the painful sensation of heartburn. Prilosec OTC works by directly blocking many of the active stomach pumps that produce acid before they start. 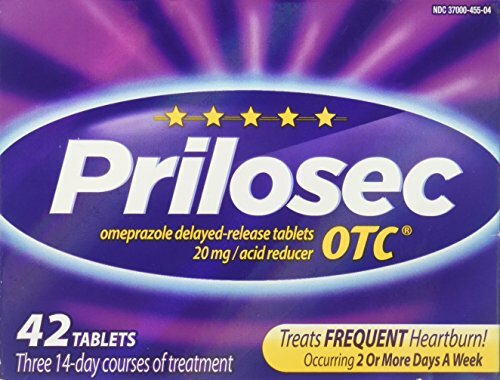 Prilosec OTC is a proton pump inhibitor (PPI). The way the active ingredient in Prilosec OTC works to fight heartburn sets it in a whole separate class from other treatments such as histamine blockers or antacids. If you have any questions about this product by Prilosec, contact us by completing and submitting the form below. If you are looking for a specif part number, please include it with your message.